WHAT: The University of Missouri School of Law and the Missouri Law Review will host a two-day symposium on the effects of cyberbullying among elementary and secondary students. The symposium, “Cyberbullying: Emerging Realities and Legal Challenges,” will feature an array of national experts, including keynote speaker John Palfrey, co-director of the Berkman Center for Internet & Society at Harvard University and vice-dean at the Harvard School of Law. The symposium will address the extent to which the First Amendment restricts cyberbullying regulation, the psychological effects cyberbullying has on children, and practical concerns facing teachers and school administrators as they implement legislative mandates to combat cyberbullying. 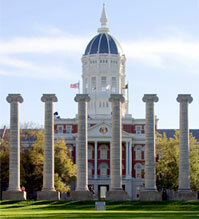 For more information about the symposium, visit: law.missouri.edu/lawreview. The Missouri Law Review, an entirely student-run publication, is one of the oldest legal publications west of the Mississippi River. NOTE: The symposium is free and open to the public.